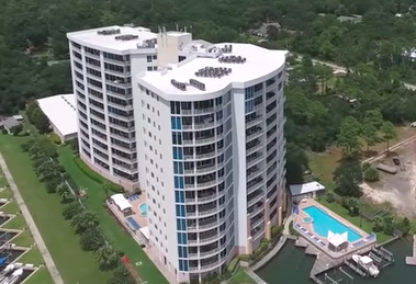 View Square Footage & Price Averages or find recent SOLD info, aerial imagery, revenues and other helpful info on our primary Orange Beach AL condos for sale page. 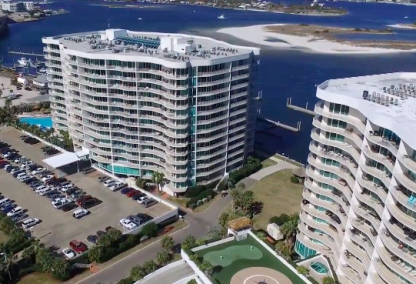 As boats come into Orange Beach from the Gulf of Mexico, they sail through the Perdido Pass. 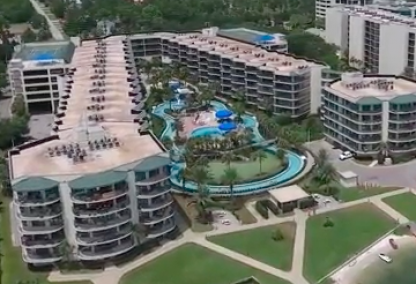 The Caribe Resort, just east of the Pass, has the second closest boat docks to the Gulf, making it a popular vacation spot for boaters. 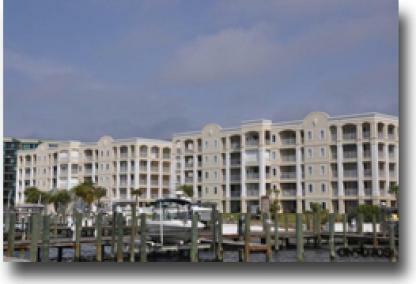 To the east of Perdido Pass is the Ole River, which separates Ono Island from Orange Beach. 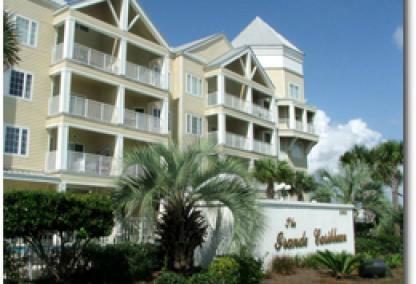 The Bella Luna condominium, a popular vacation destination, sits right on the Ole River and has private boat slips for owners and guests. 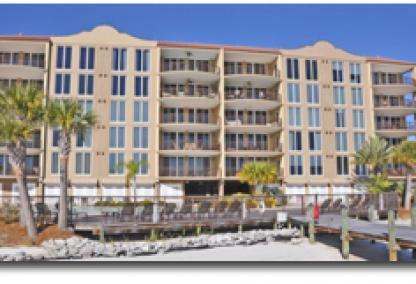 From Perdido Pass you can also reach Terry Cove, where a number of other condominiums sit right on the water. 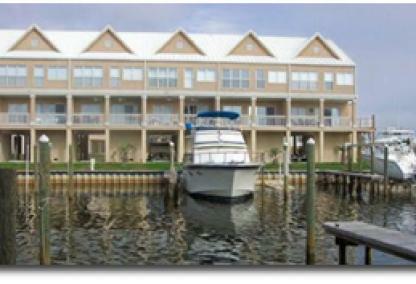 Many of these condo developments, like The Yacht Club, offer private boat docks and slips for residents and guests. 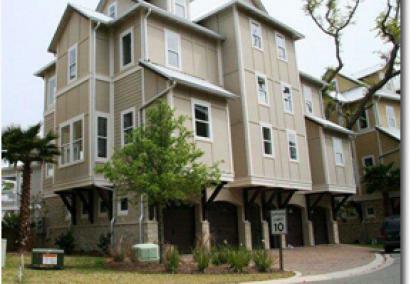 If you don't head into Terry Cove, you can go up through Bayou St. John and then west around to Wolf Bay and then Portage Creek. 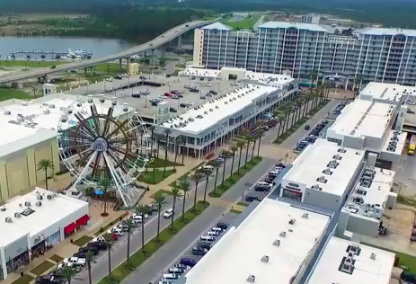 The Wharf, with a huge amphitheater and a number of shops and condos, offers boat docks to those traveling through here to attend music events or just to spend the day shopping. 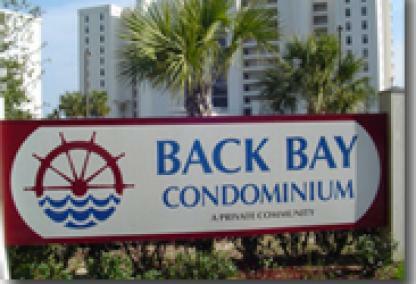 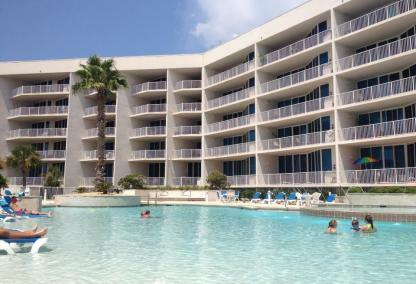 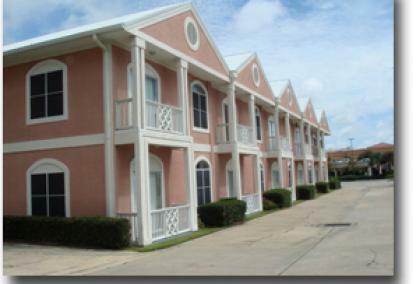 The condos listed above are located in Orange Beach, AL. 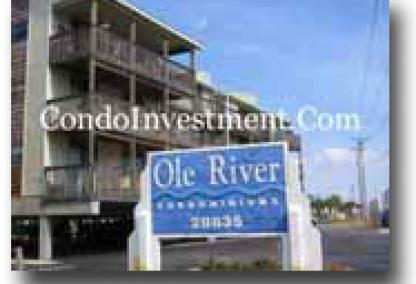 Another source of Bay front condominiums for sale are those on Mobile Bay in Gulf Shores constituting those on the Fort Morgan peninsula. 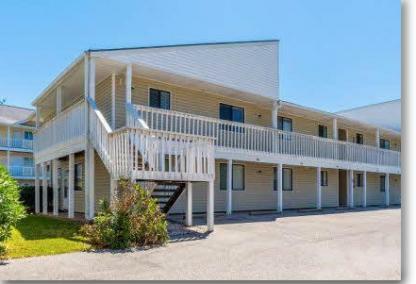 This 22-mile stretch of land spans from the intersection of Hwy 59 and Ft. Morgan road all the way to the historic Fort Morgan site. 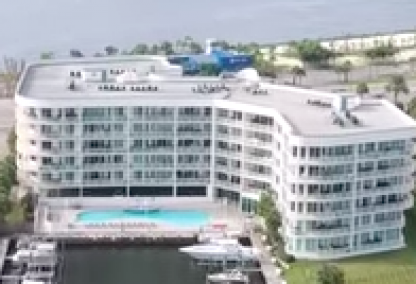 A ferry runs across Mobile Bay during the busy season and cuts the trip down considerably - check out the Mobile Bay Ferry. 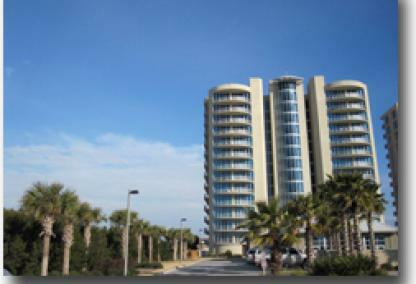 We've provided current listings, recently sold info including sold dates and closed prices - find much more info on condos and homes along Mobile Bay.